Enter Michael Kurzwelly. An artist who speaks both German and Polish, he moved to the area in 1998 and began staging public “interventions” to explore issues of identity along the border. Most of these interventions center around his vision of a united city, called Slubfurt, and with help from other residents he has set about convincing people that it really exists. 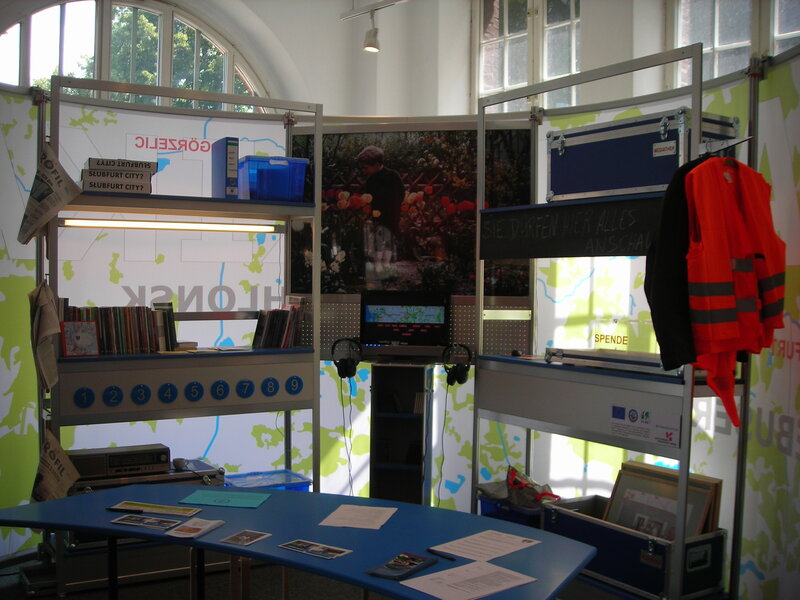 At the invitation of Florence Maher, a fellow Fulbrighter studying border politics at Viadrina European University in Frankfurt, I took a tour of Slubfurt and talked to Kurzwelly about his work. This is just the tip of the iceberg; I could go on for several more paragraphs describing the efforts to actualize Slubfurt. People seem to be catching on. While I wouldn’t call it a groundswell, Kurzwelly has drawn enough attention to the divide between the two cities that there now seems to be a public dialogue about border issues where one didn’t previously exist. When Kurzwelly offered the residents of both cities the opportunity to apply for official Slubfurt identity cards, 300 people signed up within the first two days. You get the sense that if Kurzwelly ever left the area people would genuinely miss his interventions. He was even asked to serve on the culture committee for the Frankfurt local government. I find Kurzwelly’s work fascinating and brilliant. Bit by bit, he and his collaborators are creating a new sense of place for these two border cities. And they are doing it from the ground up (Kurzwelly actively encourages anyone and everyone to submit suggestions for interventions and to participate in their execution). What’s more, Kurzwelly believes in a lighthearted approach, which not only makes it more fun for his audience but also allows him to create a strong breeze without ruffling too many feathers. Public historians could learn a lot from his approach. Eleven years on, the city of Slubfurt now has its own history. Who’s to say it isn’t real? A special thanks to Florence Maher and Michael Kurzwelly for sharing Slubfurt with me. I came away with tons of Slubfurt material—the travel guide and map, campaign materials, a DVD—that I am happy to share with any interested individuals. And post a blog comment if you have ideas of your own for further Slubfurt interventions; I am making a list for Kurzwelly. Wow, what an interesting project. I wonder how much all the virtual-place games have influenced people’s readiness to participate. It’s great though, that he hasn’t taken this virtual, and uses instead for face-to-face encounters. I’d love to know something about who’s gotten involved — a cross section of both cities? Or mostly young and arty? Did you get any idea, Rainey? Yes, we talked about participation. First, there’s his core group of collaborators who serve in the Slubfurt Parliament and actively work with Kurzwelly on planning and executing the projects. This is a small group, but isn’t that always the case? Only a few want to actively participate and the rest just want to watch. Some of his collaborators are students from the workshop he runs at Viadrina European University, and he says the rest are mostly people who are transplanted in Frankfurt/Slubice from somewhere else, which disappoints him. 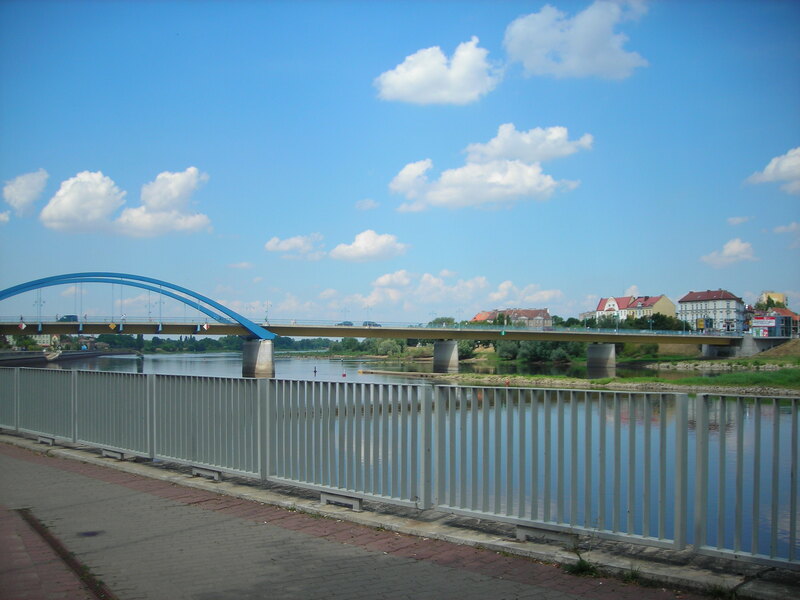 But maybe it takes living somewhere else to realize that the Frankfurt/Slubice situation is so fascinating? A reasonably large age range from what I saw–maybe 20s to 50s, both men and women, probably arty, or at least interested in local politics and culture, as you say. Also, although the Poles on the whole tend to be a little more enthusiastic about his work, most of his active collaborators are from the German side, he thinks because the standard of living is higher there so they have more free time. As for the observers/casual participators, again the Poles are a little more enthusiastic but he gets folks from both sides, all ages. When he and fellow artist Hans Kropshofer held a contest to come up with the sound of the rooster from the Slubfurt coat of arms, 80 people came in to record their “crows,” and a boy from Slubice won the contest. As I mentioned in the post, 300 people, from both sides of the river, signed up for ID cards in the first 2 days they were offered. And there’s now a bi-city festival in the summer, not necessarily created by Kurzwelly but nonetheless influenced by him, that is attended by everyone. Then there’s the response from the two local governments. After 10 years of agitation he’s earned respect from both, but Germans have more red tape and are more particular about how things are done. 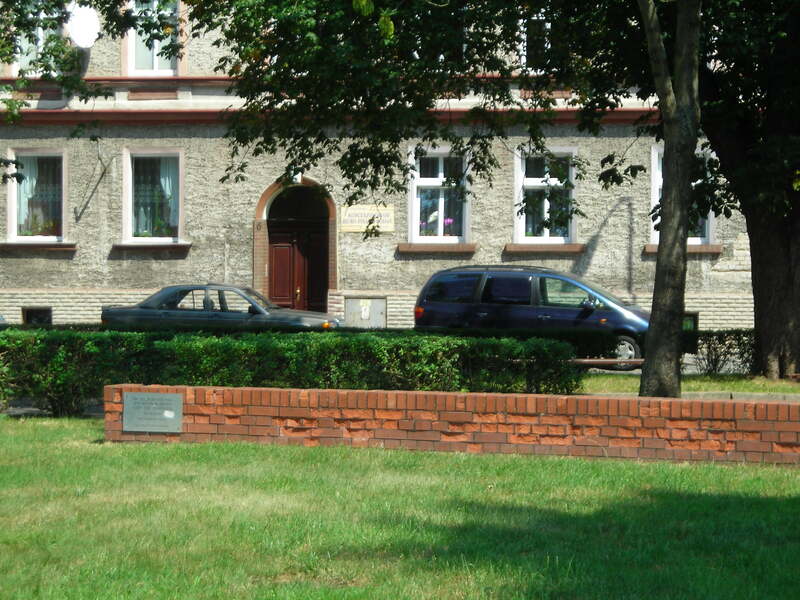 For example, when he asked permission to build the Slubfurt wall, the Slubice mayor said sure and within a month or two the local government workers had built it for him. On the German side, it took several years of approvals. Hope this answers your question. Look forward to showing you all my Slubfurt materials the next time I see you!